Last week the Toronto Injury Lawyer Blog was in the midst of providing you with valuable tips to complete the OCF-1 Application for Accident Benefits. Now, we’re going to complete this topic on how to properly complete the OCF-1 following a car accident. The fact that it will take 2 (or 3) blog posts to properly complete this topic without rendering you the reader into a coma (likewise to yours truly the writer), should be an indication to you how technical and tedious these forms are to complete. For your refernce, the OCF-1 Application for Accident Benefits Form can be found on the website of the Financial Services Commission of Ontario here; or at the Goldfinger Injury Lawyers Website in the Accident Benefits section here. Part 4 of the OCF-1 Application for Accident Benefits deals with your insurance information. 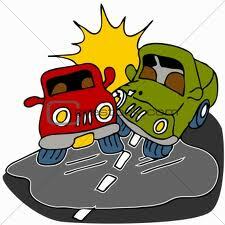 The insurance company needs to know if you had car insurance at the time of your motor vehicle accident. If so, they need to know which insurance company it was with. Sometimes, you may not have had your own car insurance, but you might have been listed under a policy of a spouse, friend, dependant, or employer. If that’s the case, then the insurance company needs to know this information as well. This is important to the insurance company, because they want to know who will assume responsibility for the claim. Often in accident benefit situations, one insurance company might start off paying out on the claim. But, after some digging and investigations, they file a Notice of Dispute Between Insurers Form. Basically, this form gives notice that Insurance Company “A” is trying to pass the buck along to Insurance Company “B”. At the end of the day, the more money which insurance companies have to spend paying out on claims, or handling claims, the less money they keep for themselves and the less profit they report for their shareholders. So, they will look to any excuse whatsoever to pass the blame/responsibility over to another car insurance company following a motor vehicle accident. So one day, you might be getting letters from a big insurance company like State Farm. And the next day, after all of the investigations are complete, it turns out that you were listed as an occasional driver under your fourth uncle’s policy who you haven’t seen since you lived with him 15 years ago but he never bothered to change the details on his policy. The next thing you know, your uncle’s car insurance company is on the hook for your accident benefits because of this detail. Funny how these things work. 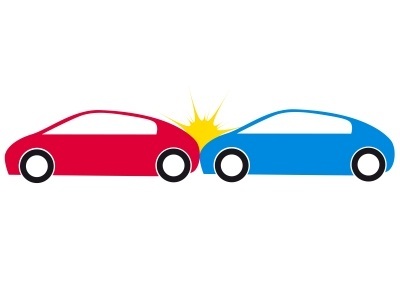 Unfortunately, this trend of passing the buck between insurance companies tends to slow down payment of accident benefits for innocent accident victims following serious or catastrophic car accidents. While the insurance companies are arguing with each other over who has to pay; payments are not being made to the innocent accident victim for things like income replacement benefits, non-earner benefits, attendant care benefits, or medical/rehabilitative benefits. At the end of the day, the accident victim always pays the price. Always sad to see. If you did not have car insurance at the time of the accident, and noboby in your family had car insurance, then you might be able to recover accident benefits from the other driver that hit you. If the other driver, and nobody in his household had car insurance, then you might be able to recover accident benefits from the Ontario Motor Vehicle Accident Claims Fund. But just because the Claims Fund is run by the government, don’t expect them to be nice. They’re just as ruthless as any insurance company out there. Part 5 of the OCF-1 asks you about your employment status at the time of the accident. If you were a student, unemployed, a full time caregiver, or had part time or full time employment; then the insurance company needs to know. This is important in determining whether or not you’re entitled to income replacement benefits or non-earner benefits. There used to be something called a caregiver benefit availabe to all, but Ontario’s government repealed it on September 1, 2010. It’s now only available to catastrophically injured accident victims. Why did they repeal it? Is it because Ontario’s Liberal Government thought that stay at home mom’s or stay at home caregivers have no value and consider their work without merit? Sure looks like it. But talk to your local MPP about it. This change came at the insistence of the insurance industry as another mechanism for them to save money while noboby but personal injury lawyers take notice (NOTE: Accident victims do take notice only after they’ve been involved in car accidents, which is much too late as the legistlation has already passed by that time under everyone’s noses). Part 6 deals with whether or not you’re attending school. Personally, I find this part useless unless the accident victim is catastrophic and/or can no longer attend at school. If the injured party can still attend at school following the accident, then it’s highly unlikely that the accident victim will qualify for the non-earner benefit. And because they were in school, an income replacement benefit is likely out of the question because they weren’t earning an income at the time of the car accident. Part 7 deals with the Caregiver Benefit. Again, I find this section to be useless as the Caregiver Benefit was repealed for all Non-Catastrophically injured accident victims. So, if you weren’t catastrophically injured in your car accident, save the ink as you won’t qualify for benefits in this section. I feel like the people who designed these forms are just teasing people that they may be entitled to a magical caregiver benefit, in spite of knowing how difficult it is to collect it. I would love to know how many accident victims in Ontario after September 1, 2010 recieved a Caregiver Benefit. My guess: around 2.5% (probably a bit on the high side). Here’s the terrible thing about IRBs. If you can’t work, first you need to claim Unemployement Insurance. Once that’s exhausted, then you need to exhaust your Short Term Disability Coverage. If your STD Benefits are greater than $400/week, or greater than 80% of your net pre-accident salary, then your car insurance company gets a set off and they don’t have to pay you a dime! How’d that work? You just got hit by a drunk driver and the car insurance company gets a set off and doesn’t have to pay for your income replacement benefit? Talk about a sweet deal (not for you or your LTD insurer, but for the car insurance company). Just because you’ve completed this part of the OCF-1 doesn’t mean that your income replacement benefit will flow automatically. Insurance companies will require your Employer to Confirm your income by completing an OCF-2 Employers Confirmation of Income Form. And just because the OCF-2 is complete still doesn’t mean benefits will flow. The insurance company will then spend around $3,000 or so to send you to one of their quack doctors in order to determine if you’re injured enough to qualify for the income replacement benefit. I haven’t met you, and I have no idea about the extent of your injury, but I can take a wild guess at what these doctors will have to say about your injury. 75-85% of these reports come back saying that you’re ok to return to work and that you don’t qualify for the income replacement benefit. Then ask these doctors what percentage of their practice is devoted to OHIP Billings vs. what percentage is devoted to insurance billings. The answer will surprise you. Enough venting for today. We still haven’t completed the OCF-1 Application for Accident Benefits Form. The last sections of the form are very important and I have seen them delay benefits to accident victims on a number of occassions. I will share with you some tips about completing this final section of the OCF-1 next week. Congrats again to my beautiful wife on getting accepted to Endo Toronto. We here at Goldfinger Injury Lawyers are all so proud of you!